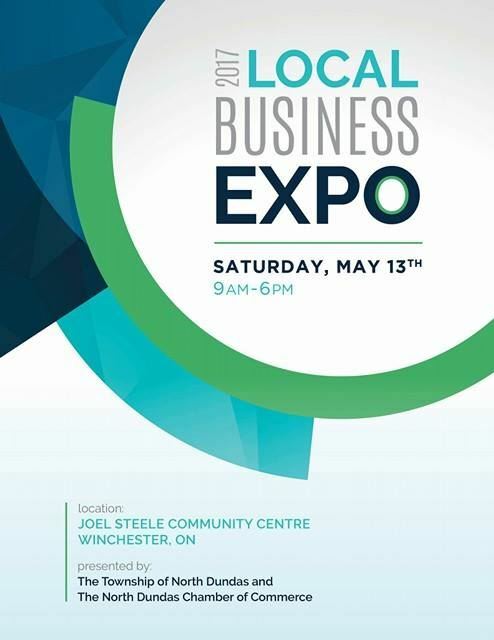 The North Dundas Chamber of Commerce and the Township of North Dundas are pleased to present the NEW Local Business Expo '17. Come celebrate Canada's 150th and see what your local businesses have to offer. You'll find everything our region has to offer, all under one roof! From local crafters, to the biggest businesses, you'll find them here. Not only will you get to meet the wonderful people that enrich our community, you can also enjoy a great lineup of entertainment and informative demonstrations - and even a fashion show! There is something for everyone - even the kids! Face painting, games, & more. Be sure to visit the community hall upstairs to check out our marketplace, grab a bite to eat, and enjoy live entertainment. The event is completely free for the public! Come out and support your local businesses.